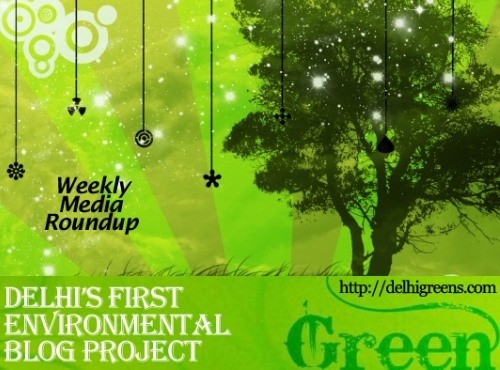 Weekly green news update from across different media networks for week 16 (between April 18 to April 24) 2016. Ambassadors, high commissioners, and diplomats from 34 countries gathered at a park here on Friday and planted tree saplings to mark the ‘International Mother Earth Day’ and to laud the commitment of 171 countries – all set to sign the landmark Paris Climate Agreement at the UN – to create an ‘Environment Democracy’. West Delhi’s Rajouri Garden and south Delhi’s Lajpat Nagar have logged a high level of pollutants on April 22, the ninth day of the odd-even car-rationing scheme which experts maintain will have a “marginal” impact on the city’s overall air quality. There is no data to suggest that the odd-even scheme has led to a decline in vehicular pollution in the national capital, Central Pollution Control Board said on Thursday. Piles of leaf and garbage are burnt with impunity in Delhi’s parks and landfills, filling the air with foul smoke containing dangerous levels of carcinogens and carbon dioxide that is blamed for stoking weather extremes. There is no data to suggest that the second phase of the odd-even scheme has led to a decline in vehicular pollution, the Central Pollution Control Board told the National Green Tribunal Thursday. The Aam Aadmi Party government took the initiative to combat the menace of rising air pollution by adopting odd-even scheme, others are following suit by supporting them. Despite several awareness campaigns and court orders against violation of environmental norms, south Delhi’s green wealth has been deteriorating. The Delhi government may file FIR against the North and East civic bodies for garbage burning at the Ghazipur and Bhalswa landfill sites amid concerns that the toxic fumes may offset any gains from the odd-even scheme. 9. Concrete cover for Shahdra drain? A conflict of ideas has emerged over a demand for a concrete cover over the Shahdra canal by film city studios and environmental activists. The National Green Tribunal has directed the Delhi Jal Board to apprise it of how the latter plans to utilise the Rs. 1,400 crore sanctioned under the Centre’s Namami Gange project for the Yamuna sewage system. Facing criticism from conservationists for clearing several projects in vulnerable tiger corridors, the union environment, forest and climate change ministry is working on new guidelines to enhance tiger corridor landscape by getting project proponents to procure land in and along tiger corridors. The Delhi government on Monday withdrew a controversial affidavit backing Haryana’s claim to the waters of the Sutlej Yamuna link canal, possibly keeping its likely ramifications on the Aam Aadmi Party’s performance in the Punjab assembly elections next year. In yet another validation of the North East’s remarkable faunal diversity, a group of wildlife photographers and biologists has discovered in Arunachal Pradesh a species of primate new to India. Environment Minister Prakash Javadekar, who will be leaving for New York to ratify the Paris ‘COP 21 Global Climate Agreement’, on Tuesday hinted that India could raise the issue of the WTO ruling against the Indian Domestic Solar Mission. 16. Watch: First sign of coral bleaching found in Sydney! World’s largest marine heritage is under threat. For the first time ever, coral population in Sydney Harbour is showing signs of bleaching due to warm waters, according to the scientists. The historic agreement on climate change marked a major milestone on Friday with a record 175 countries, including India, signing on to it on opening day. But world leaders made clear more action is needed, and quickly, to fight a relentless rise in global temperatures.